In the era of Big Data, metrics are everywhere. When you can collect data on a seemingly endless number of statistics, there’s almost nothing you can’t measure. The same is true when it comes to your inbound marketing. There are many different inbound marketing metrics out there, and chances are you’re already collecting the data to measure most of them. And just as in other departments, inbound marketing metrics can seem somewhat overwhelming. If the sheer number of metrics you could measure has your head spinning, don’t worry. This simple guide will help you discover the inbound marketing metrics you need to be keeping tabs on. Before you begin picking metrics, it’s best to make sure you understand what they are and how they influence your inbound marketing efforts and your business. Metrics are measurements of success. Since this is the era of Big Data, you can collect information on almost any statistic you’d like. Metrics are those statistics you keep track of and use to measure your success. Here’s an example. You want to measure traffic to your website. You can measure the number of page views. You can also collect information on how many individual visitors come to your site. You could keep track of the pages each visitor views. Information about where each visitor came from is available too. You may even receive data about how they arrived at your page. Some visitors, for example, may arrive through a keyword search while others arrive by clicking a link on Twitter. What do you do with all of this information? You can use it to measure success. The first question, of course, is how are you defining success? In this example, “success” could be defined as getting a certain number of visitors or a certain number of page views per visitors. What if you were running a social media campaign and you wanted to know how effective your ad was at generating website traffic? In this case, you’d want to pay particular attention to how your visitors were landing on your site. If most of the traffic was driven through clicks on a link from Facebook, your ad might be working very well! One of the big problems with inbound marketing metrics is that there are so many different measures. In the website traffic example above, you can already see there are likely a dozen different ways to measure success. It all depends on what data you’re paying attention to. In the example, success was defined as a large portion of website traffic being driven through a Facebook ad. When a large number of visitors came from Facebook, the campaign could be deemed a success. What if Twitter was where the link was posted or what if people were looking at different pages on the website? Then the campaign wouldn’t be as successful, even though you were still getting traffic! Obviously, success is defined by the inbound marketing metrics you’re using. This is where many people run into trouble. There are many metrics out there, but not all of them are created equal. Some of them are very good and give you plenty of insight into your campaigns. Others are less effective measuring sticks. Poke around on the web and you’ll quickly find there are a few inbound marketing metrics most agree are “must haves.” These key metrics are ones you should be tracking no matter what. You can decide to track anything else, but use these metrics to form the basis of your measurements. HubSpot lists 12 key inbound marketing metrics to keep track of. These include statistics about content sharing, commenting, conversion rates, and the amount of time visitors spend on your site. Keep in mind some metrics are better than others, but measuring something is always better than measuring nothing. 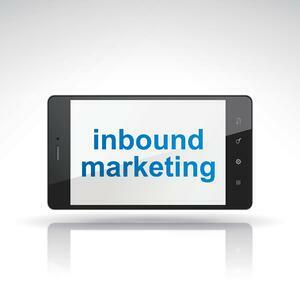 There are plenty of “fluff” measures for inbound marketing metrics as well. These are things many people keep track of. Sometimes, it’s because they’ve been misled into thinking they’re important. Other times, it’s because these metrics make you look good on paper. The numbers sound great, but if you actually dig a little deeper, you’ll see they don’t mean all that much. HubSpot singles out five of these, including number of ad impressions, Facebook likes, and email opens. When these “metrics” have high numbers, they sound fantastic. You had a quarter of the mailing list open the email you sent? Fantastic! What happened after that? 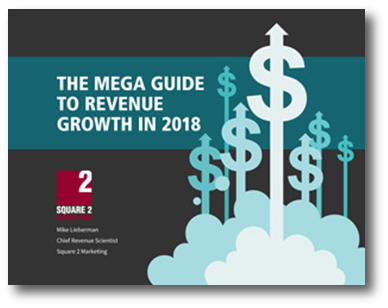 This is where you begin to differentiate the truly important inbound marketing metrics from the “fluff” numbers. So what if 50 or 150 people liked your Facebook post? Did they visit your site, leave a comment, share the post, or buy your product? No? Then this number means relatively little. The same is true of email opens and ad impressions. Just because someone opened an email doesn’t mean they read it! Your ad may have displayed on someone’s browser, but they didn’t necessarily pay it any attention. Internet users are getting better at ignoring ads, so much so that they may not even remember seeing them. As you begin to untangle the important metrics from the unimportant ones, you may be baffled by the amount of contradiction floating around out there. For example, in HubSpot’s list of 12 key indicators, comments are indicated as an important metric to track. Comments are also listed in their article on which metrics to stop tracking! So, what is it? Are comments a good metric you need to keep track of or are they one of those fluff numbers people track to give themselves an ego boost? The answer is both. Comments can be an important measure of how engaged your consumer base is. With Facebook reformulating its algorithms, engaged audiences are becoming more important than ever before. This information can give you more insight into the quality of your content and your customers’ engagement. It could show you where you need to improve. If the same person is commenting about poor customer service on every post you publish, maybe you need to look at your customer service! Something like the number of comments is less useful. It gives you a vague idea of how many people engaged with your content, but keep in mind comments can come from trolls and spambots just as easily as they come from real people. You may have a high number of comments, filled with spam links to other websites. In this case, the number of comments is a very poor measure of how engaged your real audience actually is. The bottom line is you need inbound marketing metrics. They provide you with insight into what’s working and what’s not. If you want to run successful inbound campaigns, it’s important to measure and learn from what you did in the past. It’s always challenging to sort which metrics are truly important from those with less meaning for your marketing. Think about what you want to achieve with any campaign you’re running. Defining goals will often lead you to the right metrics for measuring success.